Overview & specs of Dji Mavic Pro Drone by Argos. The DJI Mavic Pro is a small yet powerful drone that turns the sky into your creative canvas easily and without worry, helping you make every moment an aerial moment. Its compact size hides a high degree of complexity that makes it one of DJIs most sophisticated flying cameras ever. 24 high-performance computing cores, an all-new transmission system with a 4.3mi (7km) range, 5 vision sensors, and a 4K camera stabilized by a 3-axis mechanical gimbal, are at your command with just a push of your thumb or a tap of your finger. Maximum speed 18 metres per second. Maximum flying height 5000 metres. 75 minutes charging time for 27 minutes flying time. Suitable for indoor and outdoor use. Controlled using remote. Wi-Fi enabled. Built in camera 12.35MP and 4K UHD video. Batteries required: 1 x Li-Ion (included). For ages 18 years and over. This item is not a toy. WARNING(S): Not suitable for children under 3 years old. Only for domestic use. To be used under the direct supervision of an adult. General information: Size H8.3, W8.3, D19.8cm. Weight 743g. 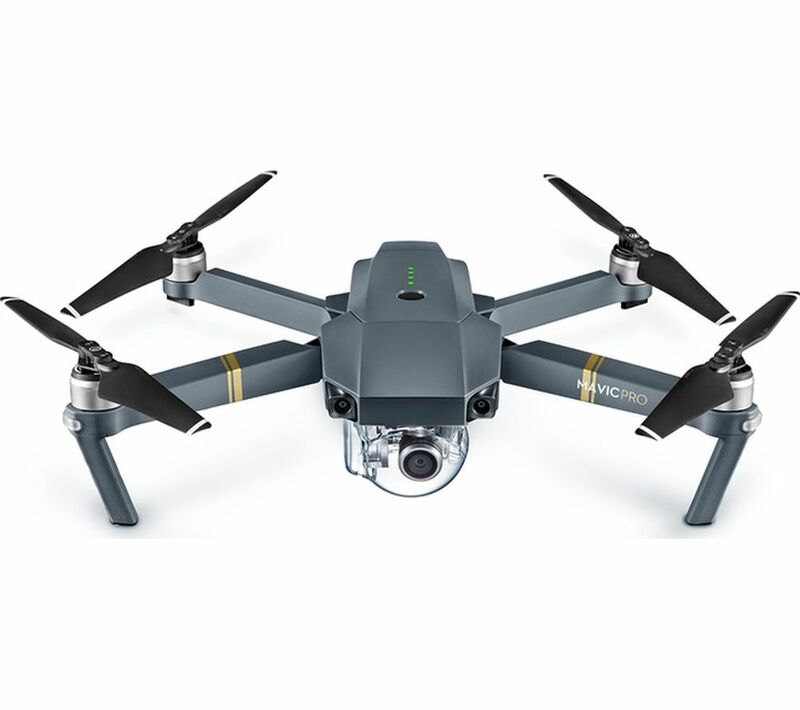 We are comparing prices for Dji Mavic Pro Drone in new condition sold by Argos.